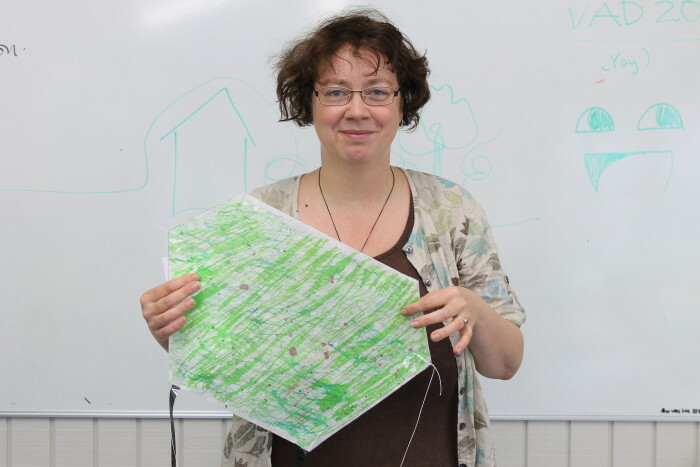 This week I took part in a two days kite making workshop with Otaki based kite maker Yvonne de Mill at Whitireia. I am not really a kite fan so I was not quite sure about what to expect and if I would like the result. The first day Yvonne introduced some basic (but important) rules about the structures of kites and gave us a very informative overview about historic and contemporary kites and kite artists around the globe. And she promised that our kites would fly. 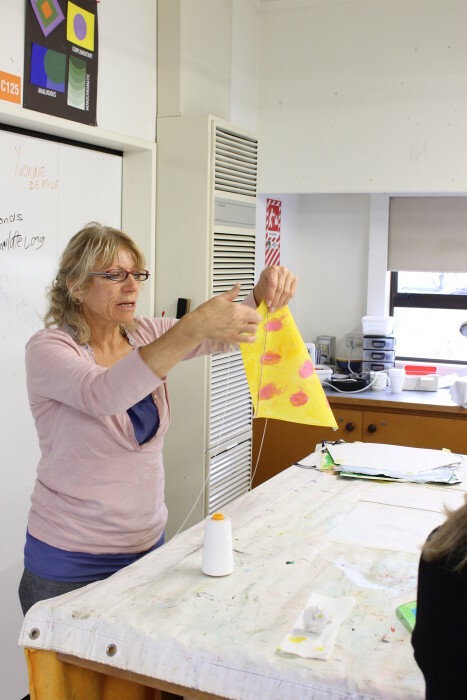 This first kite was very basic, made with easy available materials such as food coloring, baking paper, skewers and old video tape for the tails. And she was right, they all did fly. And it was exciting indeed. On the second day, we designed and constructed our own kites. 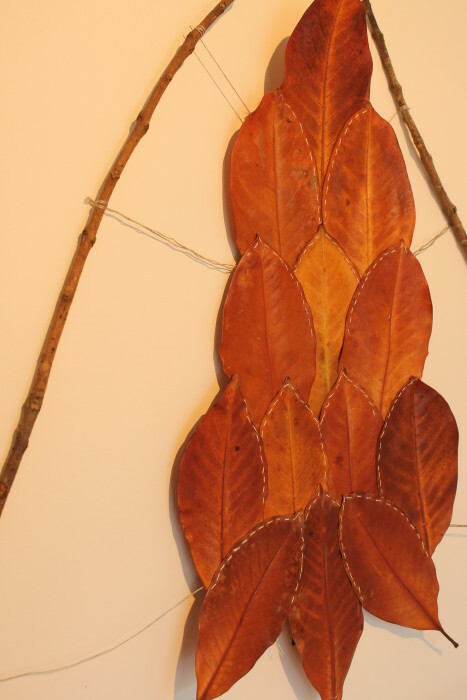 I decided to use natural materials, I found magnolia leaves on the ground already changing color into browns and yellows. 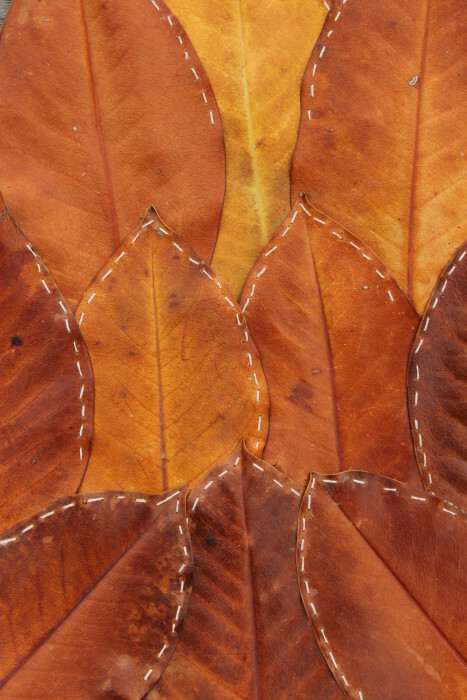 They are very sturdy and shiny, easy to stitch. 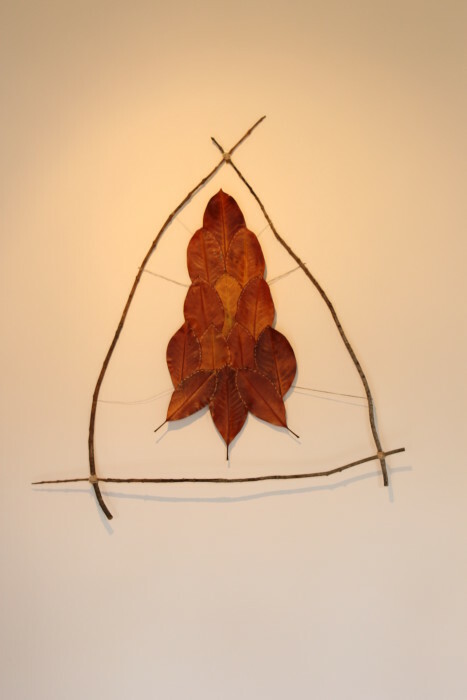 For the frame I gathered some makomako twigs, they are very strong and quite straight. 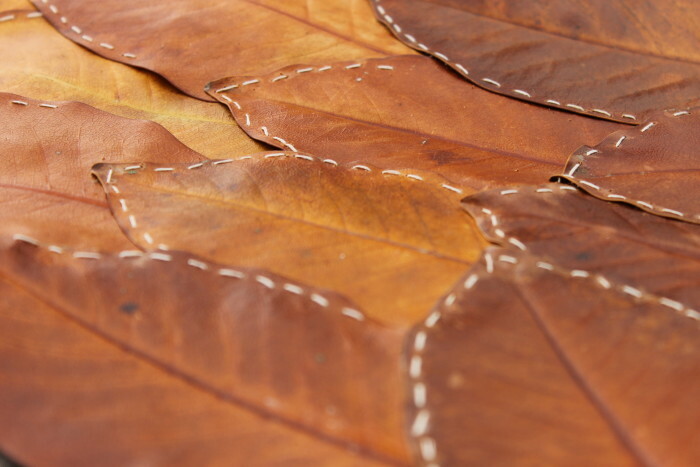 This version does not fly though and the leaves will eventually fade and disintegrate. It will be interesting to see and document how long it takes them to return to the land. 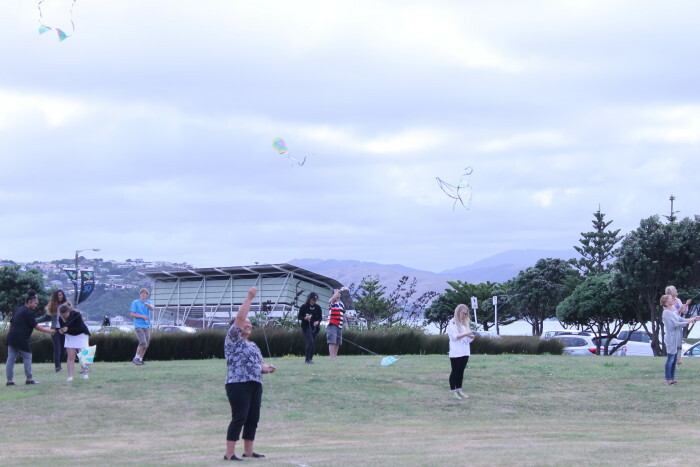 So I am ready to go to the Otaki Kite Festival this weekend not only watching but also flying my own kite.